Never tried parasailing before? Here's your chance! Rise up to an altitude of about 150 meters for a breathtaking view of Dubai’s skyline from the Gulf coast. See Dubai Marina, the luxury waterfront homes, buildings of Jumeirah Beach Residence and even the iconic Burj al Arab! Get to see the city from a unique perspective on a 15-minute parasailing experience. All necessary equipment and safety gear will be provided. 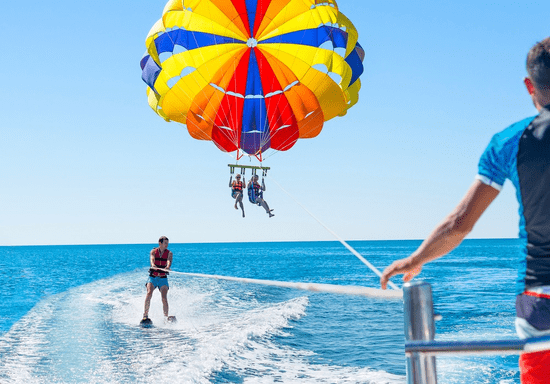 Before you start, you will get a briefing on essential parasailing practices and safety instructions from your instructor. 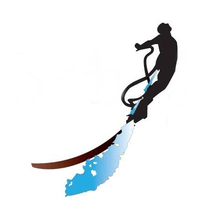 Then you will be strapped into the harness connected from a boat. Before you know it, the boat is powered-up and you will feel your heart racing as you are lifted into the air. Fade into the sun, let your spirit fly while enjoying a birds-eye view of Dubai.